The spring weather has been teasing us so far this season: one day it’s bright and sunny, meaning shorts are in order, and the next day it’s cool and windy so a lightweight jacket is required. It’s time to start shopping for fashionable (and budget-friendly) layers. 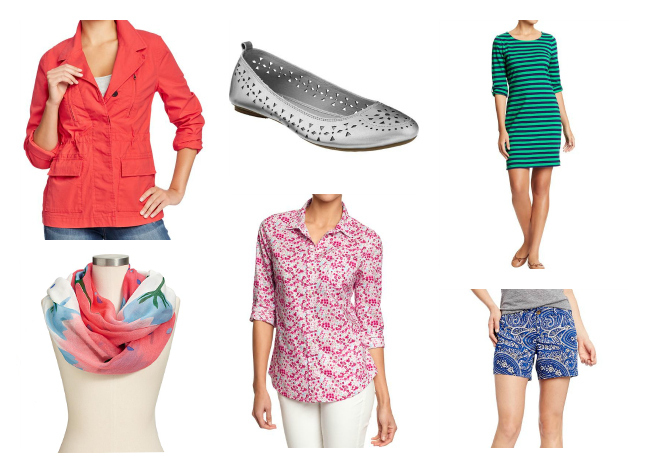 Stock up on those spring essentials like graphic shorts and pair them a long sleeve t-shirt, a bright anorak, and on-trend perforated ballet flats. Old Navy has the latest and greatest in spring essentials and the best part is: you can buy a whole outfit there for less than $50, which is sure to please both you and your wallet.